Journey to the world of Alice in Wonderland with the playful and crazy online slots game Mad Hatters. This is a 5-reel, 30-payline and 300-coin slot machine game with a wild symbol, an expanding wild symbol, a scatter symbol, a Free Spins bonus game, and a Cuckoo Bonus Game. 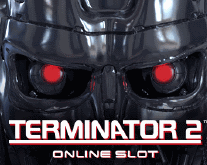 You can’t have much more fun than you’ll have with this crazy online slot game! The regular symbols add to the Alice in Wonderland feel in this mad online slot game with the Tea Pot, John Mad Hatter, James Mad Hatter, Jeff Mad Hatter, the Tea Cup, the Ice Cream Sundae and more. In addition, there are great added features in the Mad Hatter online slot machine. The Mad Hat symbol is wild and substitutes for other symbols to help you create winning combinations. Now, during the Free Spins bonus game, John Mad Hatter, James Mad Hatter and Jeff Mad Hatter all become expanding wild symbols. If a Mad Hat symbol, or the Mad Hatter symbol that you’ve chosen to be an extra wild symbol, is displayed on Reel 3 while you’re in the Free Spins bonus game, then that symbol expands to all positions on Reel 3 and will act as a wild symbol. The Crazy Bunny symbol is a scatter symbol in this slots online game. It can be scattered anywhere on the 5-reel online slot machine as long as there are three or more of them. You can win as many as 50 free spins in the Free Spins bonus game. If you have three or more Bunny symbols scattered on the reels it will activate the Free Spins bonus game. The number of Bunny symbols that activated the bonus game will indicate how many free spins you get. Three Bunny symbols means 10 free spins; four Bunny symbols means 25 free spins; five Bunny symbols means 50 free spins. Now, there is also a Cuckoo Bonus Game activated when three or more Cuckoo Clock symbols are scattered anywhere on adjacent reels of the online casino slot machine. The Cuckoo Clock symbols don’t have to be on an enabled payline for you to win. Behind each cuckoo clock you’ll find a random value which is multiplied by the number of coins you bet per payline. You’ll get to select a certain number of cuckoo clocks which is dependent on how many Cuckoo Clock symbols you had going into the bonus game. You’ll go crazy playing slots online with Mad Hatter! 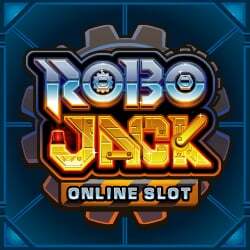 This is a great online slots game that is bound to keep you having fun in the wonderful world of Alice’s Wonderland and the online flash casino!